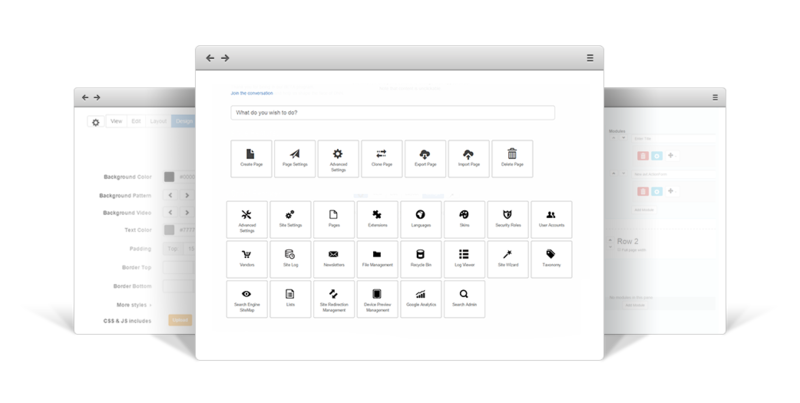 Add-on that adds a professional note to all your projects. Easily create Barcodes to personalize admittance tickets, employee ids, discount coupons and many more. Now you can also scan barcodes using the camera of your mobile device(some restrictions apply). From now on, all tickets you sell can be easily scanned at entrance with any barcode scanner. Admittance tickets, discount coupons, Employee IDs, you name it - a barcode will easily find its way in your day to day projects. DNN Sharp modules provide the configuration and processing functionality necessary for the Add-on to work. Turn your DNN portal into a marketing leads generation machine. Get on an email marketing strategy using the extremely popular Campaign Monitor service. Work smarter, not harder when it's come to define role capabilities to manage DNN pages. Have a streamlined approach to resume submission. Define role capabilities to add, load, update or delete DNN modules. Add contacts to your Constant Contact mailing list when they fill out Action Form powered forms. Send SMS messages through a Clickatell account to alert mobile users when a form is submitted. Prevent multiple submissions, based on e-mail address, displaying an personalized error message accordingly. Integrate sales, support and marketing processes with the powerful Salesforce CRM application. Accept credit cards payments and e-checks in a fast, easy and secure way. Create PDF documents from your DNN portal using form data captured from Action Form. Capture signatures online by allowig user to sign forms using touchscreen devices, touch pads or mouse. Join the third-party developer team and create your own premium extensions. There's a very shallow learning curve, so you'll quickly create great extensions. Your extension could be the next DNN best seller. 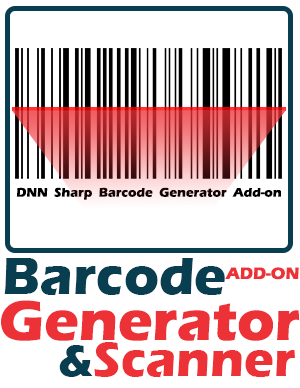 Frequently asked questions cover answers to most of the questions that you might have related to DNN Barcode Generator Add-on. Please read this section carefully before waiting for support. Who knows? You might find the answer quicker than expected. FAQ 1. Is there an Add-on trial version available? No, but you can take a look at the documentation here to see what this Add-on is capable of. FAQ 2. How long will I receive free updates and support? Once you buy an Add-on license you'll have free updates and support as long as your Add-on license is active and the updates and support subscription for the module you use the Add-on with (Action Form, Action Grid, DNN API Endpoint, Sharp Scheduler) is active as well. FAQ 3. I’ve hired a developer to work on my site. Who should buy the license? You should. It is always best for you, the site owner, to have access to your account on dnnsharp.com. That’s how you access downloads and support. FAQ 4. Can I use this add-on to build and distribute applications? You can integrate and distribute this add-on with your own products, but it should not be main functionality, it shoud be added value, and should not be in competition with our existing product. If we go into competition later, the developer will still be allowed to use the version he owns at that time, and continue to develop it, but will not receive new updates. FAQ 5. Can the license be transferred? FAQ 6. Can I upgrade to different license type later? FAQ 7. If I purchase one collection (App Sharp or Web Sharp) and I already have this add-on, will I receive some discount? The Add-on helps you add barcodes to your projects. From now, all tickets you sell can be easily scanned at entrance with any barcode scanner.